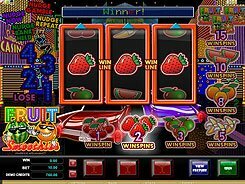 Lucky Darts is a 3-reel slot from Microgaming featuring three playing modes. 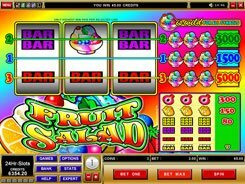 The game has Vegas-style symbols including lemons, oranges, grapes, bells, bars, sevens and Lucky Darts logo. 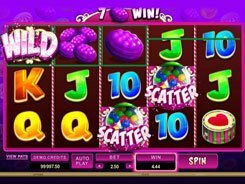 In a basic mode, the slot is played over 5 paylines, with one coin accepted per line. A coin size is adjusted from $0.2 to $5. The highest award of x200 times a bet is granted for the Lucky Darts logo if you hit these three on a payline. During the normal playing mode you can switch to 0/1 Game or Club Game by clicking the Change Game button at the bottom right corner. These modes are similar in configuration, but have a little different paytables and symbols sets. 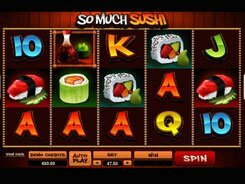 In the Club Game mode, look out for green dart icons, since three trigger the bonus feature with a maximum prize of x3000 times a bet ($15,000 if playing at max). In the bonus feature, you have to throw three darts at the dartboard to win guaranteed cash prizes depending on which sector the board is hit. 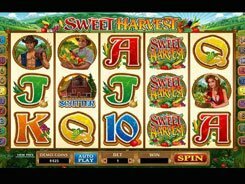 Overall, this is a highly entertaining video slot packed with excellent features and offering amazing chances to win. PLAY FOR REAL MONEY!